Hi, I’m John Kent. Thanks for visiting Simply Testing, my blog where I write/go on about software testing. I’ve been involved in software testing for quite a while now and this blog is like therapy for me. The thing I like about being involved in testing is that I’m always learning something new and when I do, I like to write about it so you can read it here. I hope you enjoy my pontifications and get something out of them to help you test your systems better. My specialty is test automation and I have built many test automation frameworks using both open source technologies like Selenium, Fitnesse, Cucumber and SpecFlow and also using proprietary tools like HP UFT or QTP (see the Test Liberation Framework). Having built the Liberation framework for QTP, I have developed the ideas further in the Freedom Framework for Selenium. I’m interested in test tools in general and especially in Test Management tools. I was part of the team that built the T-Plan test management tool when I was a developer and I’ve written and delivered training courses on HP ALM/Quality Centre. I’ve also written and delivered training courses on Test Automation, Test Tools and Programming and have delivered ISEB training courses. I have also written a lot on this subject including some papers on test automation, and a blog post series called Building Test Automation Frameworks. My approach to GUI test automation minimizes the amount of programming and code maintenance that is required. It is an exciting time to be involved in software test automation as the number of different platforms requiring testing increases and because Agile processes increase the for need regression testing for each sprint. 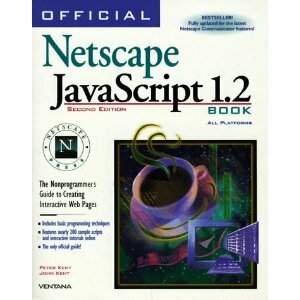 I try too keep up to date with software development and test technology. This is not easy as there are so many new bits of tech to learn and my time is limited. I find a lot of introductions often dive into detail too quickly. I might only need an overview of what the technology is or just how it fits in with other things. I started the Get Going With series to show you what a technology does as quickly as possible. I believe that the best way to learn something is to see it and then to have a play around with it. That is what the Get Going With series tries to do in the quickest possible way. 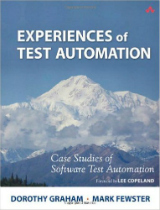 I wrote a chapter for the book: Experiences of Test Automation (edited by Dot Graham and Mark Fewster) which is a feast of test automation and a ripping good read (especially, ehem, chapter 5). I have presented at lots of conferences here in the UK, Europe and in the US, including STAR, EuroSTAR, Quality Week and at the British Computer Society SIGIST. If you’d like me to speak at your next event, you can get in touch here. Take a look at the organisations I’ve worked with. Also the organisations I’ve partnered with. If you want to talk about how I can help you with your testing you can get in touch here.